Macci´s life came to an unexpected end during the holiday season in 2011. Reid thought Macci´s stomach area seemed just a little rounder than usual and, as a precaution, took him to the vet Christmas Day. She expected the diagnosis to reveal, at most, some minor health issue. Instead she discovered Macci had metastatic cancer and he would not live to see the New Year. He was 10 years old. As the owner of many Golden Retrievers over the years, Reid knew exactly how she wanted to handle Macci´s final few days. He was brought home, coddled, and when it was time, the vet came to Reid´s home to perform the euthanasia. It was important for Reid to provide an opportunity for Rocket and Linus to say good-bye, in order to ease their mourning. 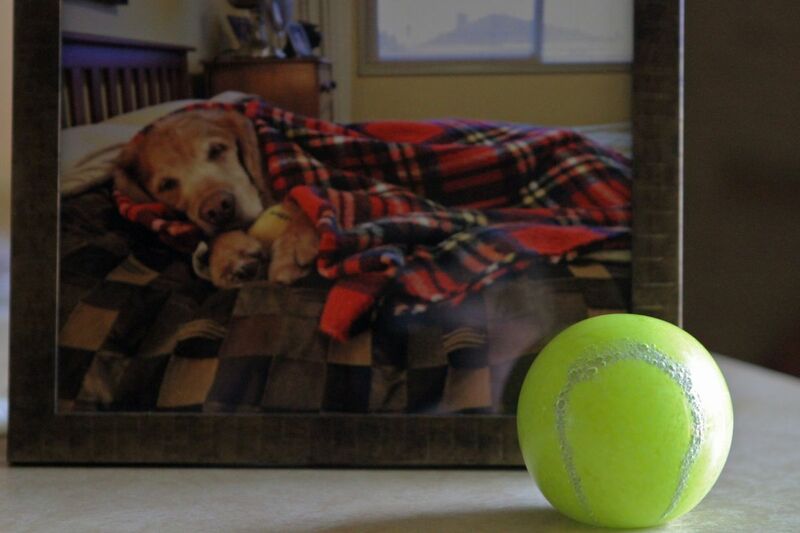 The ball is larger than a regular tennis ball and quite striking. 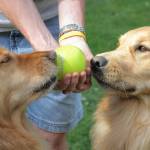 It is bright yellow in colour because Macci loved his Planet Dog balls, the ones that whistle when thrown. No real tennis balls for Macci, as the fiberglas covering is known to wear down teeth. When Reid picks the glass ball up, she gets a wistful smile on her face. It is pretty obvious the ball brings back many wonderful memories for Reid. As she states “It is Macci. 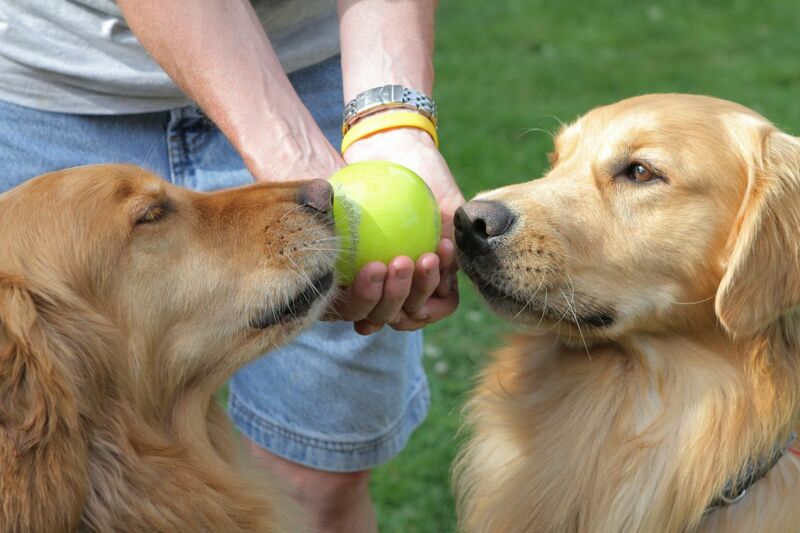 It feels good in your hand.” Other dog lovers who have seen the ball think it is a beautiful tribute. During his life, Macci saved the lives of eight to ten dogs as a blood donor for the Central Victoria Veterinary Hospital. He continues to live on through that generosity. Reid has taken up the fight against the scourge that is cancer and so rampant in our pets. She recently organized a walk for the Smiling Blue Skies Cancer Fund, a part of the Ontario Veterinary College´s Pet Trust. And Reid has the glass tennis ball to remind her of the happy times with her ball obsessed, beloved Macci. 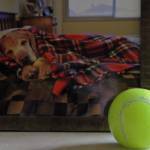 Editor´s Note: Pet Loss Care Memorial Center offers a range of commemorative keepsakes, including glass tennis balls. NOTE: This article was featured in the Pet Loss Care - Creating Memories Newsletter - would you like to automatically receive our newsletter via email? If so, sign up here.